Commercial Locksmith Scottsdale | 24 Hours | Metro Lock & Safe Inc. 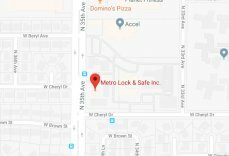 When you need a reliable commercial locksmith, Scottsdale only has one clear option—Metro Lock & Safe Inc. As your local commercial locksmith for over 30 years, we know a well-protected community is a strong community. That’s why it’s been our personal goal to provide Scottsdale with the best commercial locksmiths available. We provide every locksmith service your business could possibly need so that you don’t need to halt work for a second longer than necessary. As a business owner, it is even more important that you have access to what you need when you need it. Where a break-in at your home can leave you personally vulnerable, a break-in at your business can halt all customer services until it is resolved. When you face a commercial locksmith emergency, you don’t have to stay that way for long. Our skilled technicians can quickly assess and handle the situation. As your fast commercial locksmith, Scottsdale technicians can be there in 20 minutes or less. The right commercial locksmith service, right when you need it. Safe Install and Repair – Call us for a professional safe installation. 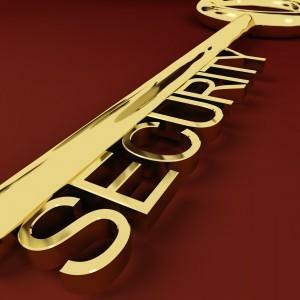 As your commercial locksmith, Scottsdale technicians we employ can handle all your commercial safe needs. This includes identifying the right location, install, and use training. Our technicians are trained on theft deterrence. We’ll help determine what position offers the best fortification, where lines of sight are, and what product is right for your needs. If you have an existing safe, we can make sure it is functioning at peak performance. This involves repairing any current issues and identifying issues that may arise in the future. Combination Changes – No matter what kind of safe you have, it likely features a combination. This may need changing for a variety of reasons. The most common reason is staffing changes that pose a security risk. Our technicians are trained in every type of safe from digital locks to wheel dials. We can perform combination changes to ensure that your information and resources remain safe. Any Safe Type – Though all safes perform the same basic function, not all are created equal. Whether you are looking to install a data, fire, burglary or floor safe, for an experienced commercial locksmith, Scottsdale deserves the best. Our wealth of knowledge and top of the line products ensure you receive the right safe for your business. Our technicians are glad to consult with you in order to determine what you want to protect, and what kind of protection you are looking for. This can vary greatly. Data safes and cash drop safes can both hold your information, but one is great for keeping digital information private and the other is best in facilities where professional theft is a major concern. Many safes serve dual purposes, and we can help identify the right safe for you. Don’t wait for commercial locksmith services! When time matters and you need a commercial locksmith, Scottsdale relies on us for complete services on every safe. Call (602) 663-9828 or Contact Us today. 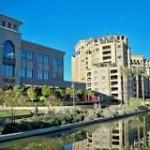 Scottsdale is the perfect city for anyone after an exciting day and a robust night life. Those looking for excellent daytime fair can enjoy local sights like the Scottsdale Arts Festival. Considered one of the best in the nation, this Scottsdale tradition includes work from over 200 artists from across the nation. Being home to over 125 art galleries and studios puts Scottsdale on the map as one of the cities with the most art related businesses per-capita in the whole U.S.
Those seeking a vivid night can enjoy countless activities. These include everything from wonderful restaurants to musical performances that hearken back to the wild west origins of Scottsdale. There’s also a great scene for those just looking to lounge either indoor or out.